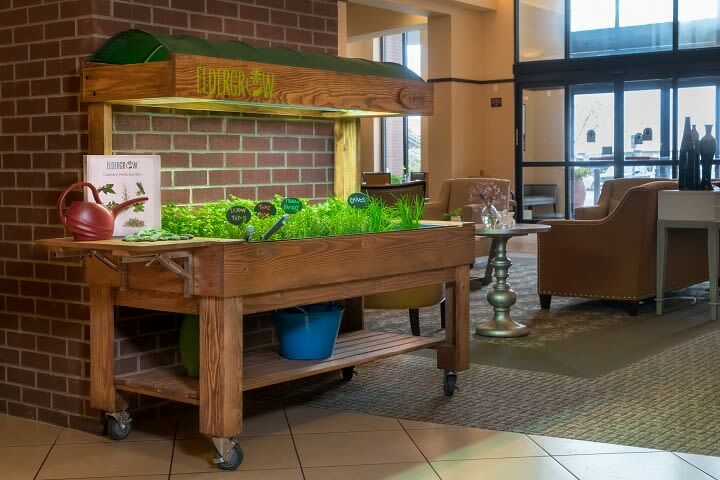 Our Kirkland, WA community has partnered with Eldergrow to launch a beautiful culinary herb garden - the first of its kind in the United States. General Manager Sarah Shackleton and Executive Chef Jeff Anderson enthusiastically kicked off the program. 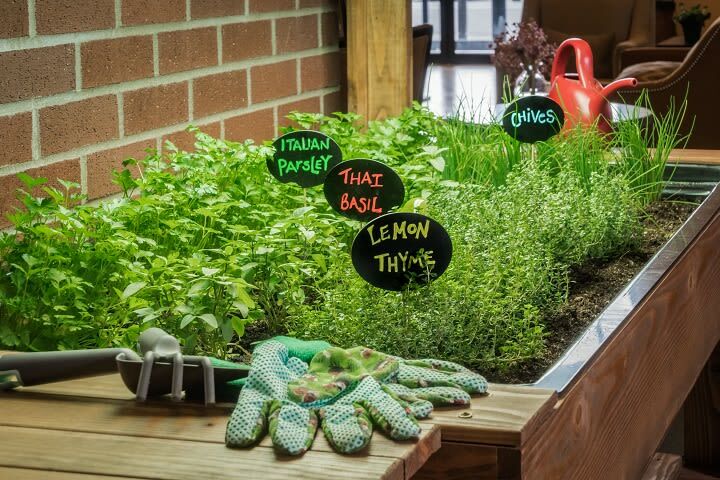 Residents got to dig in the dirt, planting four different herbs - Italian parsley, Thai basil, lemon thyme, and chives. There are definitely a few green thumbs here at Merrill Gardens at Kirkland! 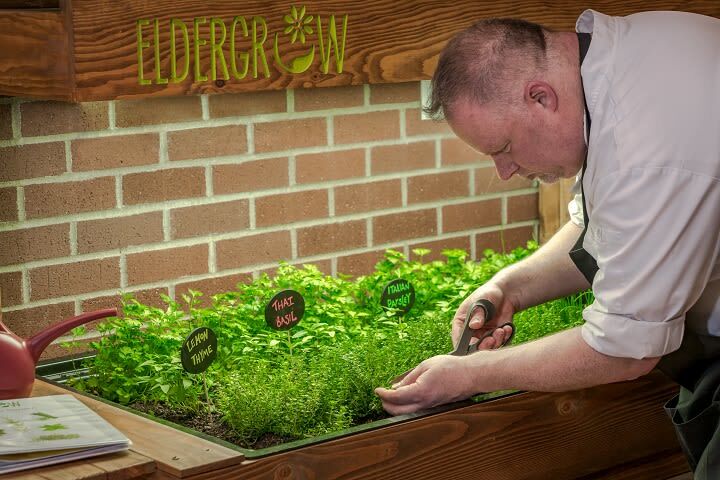 Using an 'ethnic gardening' focus, Eldergrow provided recipes that are specific to those herbs, including menu items like Thai basil chicken or Thai shrimp curry. 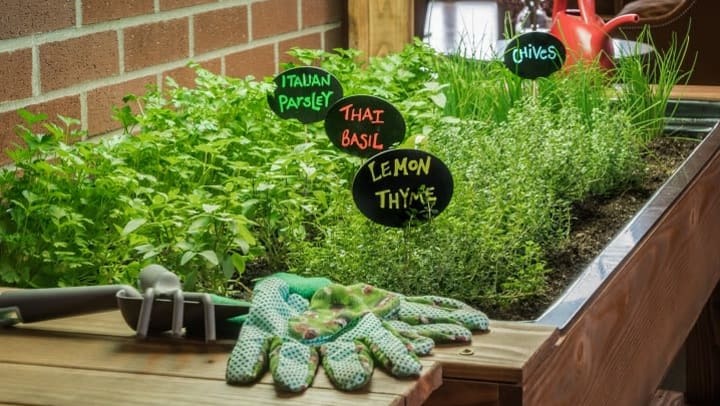 Aside from making some yummy meals for residents, the community is working the herb garden into some fun programming too - when using the Italian parsley, residents have the opportunity to learn some Italian expressions and study Italian art on the Meural canvases at the community. We are proud to be the first to test this new project - and so far it's a smashing success! 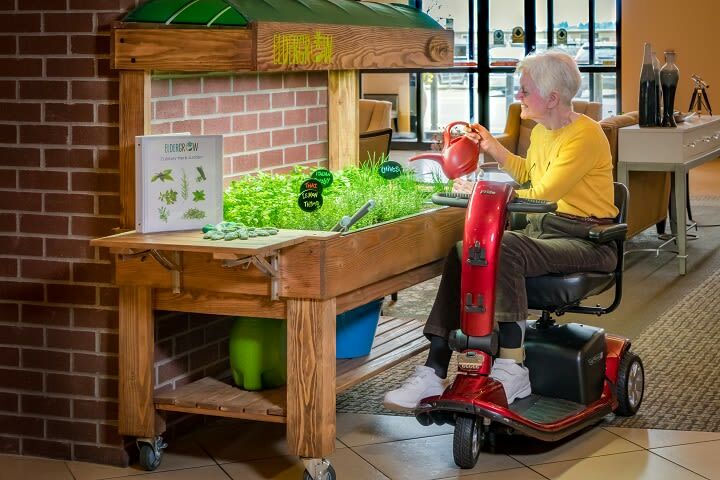 A big thanks to our partners at Eldergrow for their support and innovation. Residents tell us they love the garden and it's a wonderful source of happiness on a cloudy morning.